We at We Will Transport It have years of experience in shipping buses for many clients across the continental U.S. and Canada. We have the means to move any bus to any location whether with our own heavy load hauling specialists or another shipping company. All buses are too tall, wide, long, and heavy to be transported via an open car transport, therefore they are classified as an oversize or overweight load. Before shipping buses, we must take the following into consideration: the weight, height, length, and width of the bus and the pickup and drop off locations. After gathering all necessary information, our heavy load specialists can work with any client to determine the correct shipping method and route of travel for your bus. After collecting all state and federal permits needed for the trip, your bus will be ready to go. We know you will not regret coming to We Will Transport It when you are planning on shipping buses. Whether you are hauling commercial buses, school buses, articulated buses, etc. in the continental U.S. or Canada, we have the experience you need to get the job done right. The dimensions of your bus determines which carrier or carriers we can use when shipping. We have the means to transport with a flat-bed, step-deck, and/or low-boy carrier. There is also the option of performing a drive-away. A drive-away is where one of our professional drivers personally drives your bus to the drop off location. As mentioned earlier, We Will Transport It has heavy load specialists that will help you to understand all your options. All of our heavy load carrier drivers are fully insured, licensed, and bonded with a clean MVR record. They are very experienced and professional and can meet almost any commercial or private bus shipping need. Also, we bring with us a list of auto transportation companies that are licensed, bonded, and insured. If We Will Transport It is not the correct fit for your bus shipping needs, we will find another shipping company that is a better fit. We will create a list of shipping companies that specialize in shipping buses, collect quotes and details from each company, and provide you (the client) with all the information you need to make an informed decision. 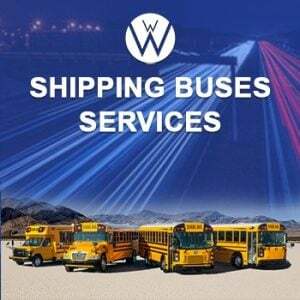 Best Shipping Buses Company in the US. Do you need to Ship Heavy Equipment Overseas? We will then set up lines of communication between you and your desired shipping company so that you are not left in the dark about what needs to be done before your bus is hauled to its new location, when your bus will arrive, or the means of transportation the shipping company wishes to use. Generally, it is more difficult and expensive to ship an overweight or oversize vehicle like a bus, but it should not be that way. If you are shipping a bus for personal, public, or government use, consider contacting We Will Transport It. We will get your bus to your desired location safely and securely. We have helped many other clients and we can help you too. If you have a bus and think of sending it to a different country – our Bus Transporting Overseas services can offer you a solution. We offer you a safe and bother free shipping buses abroad administration at a conservative rate in light of the fact that your fulfillment is fuel to maintain our business. 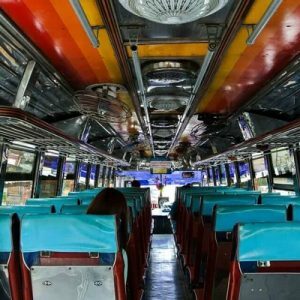 Nearly low cost – bus transporting abroad administrations are offered by numerous organizations, you have to ensure that the specialist co-op you pick offers you similarly low cost without trading off the nature of the administration or security of the transport. We Will Transport It is a five-star Shipping Buses Company, Car Transport, Cheap Car Shipping, International Shipping Company and heavy load hauling specialist will give you the top rate service for a fair price. We Will Transport It, the Best Shipping Buses Company in the U.S.